Is it snowing in Gulmarg ?Thank you! 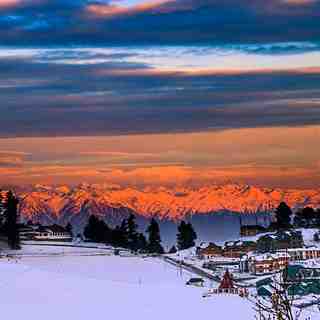 Gulmarg, India's best ski destination, offers something for everyone. There are plenty of off-piste powder runs (with the risk that goes with them). 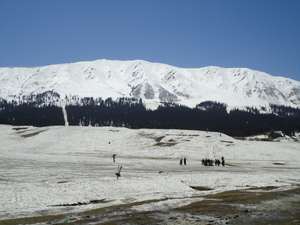 2011 saw the arrival of heli-skiing in Gulmarg. The main Alpine slopes offer great runs of 2 km or so with a stunning altitude drop of over 700m. The slopes have a gondola to the top, and is called Phase 2. For the intermediate skier, there is the Phase 1, a 3km long trail through the wooded hills. This trail is usually cured with snow beaters. 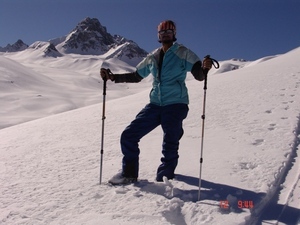 For learners, Gulmarg has the "baby slopes": 3 slopes of varying difficulties, equipped with ski lifts and dozens of instructors are available. Equipment is available at many Government run ski shops for around 10$ a day and is generally good quality. 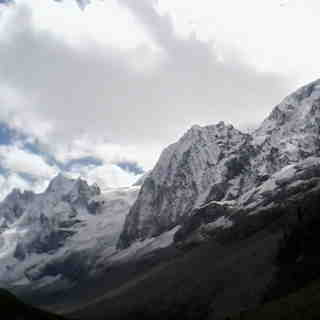 www.gulmargsnowsafety.com provides good information resources, avalanche control services, and some rescue services as well. Skiing now open on "Phase 1" of the gondola. Offers a gentle prepared track of 3km through wooded slopes with many off-piste runs. Phase 2 skiing not yet open. Ski lifts on the training slopes not yet operational. Be very careful. I stayed for a month in Feb 2018. From the moment we arrived at Srinigar airport i was very scared. Hawkers are everywhere and impersonate guides. It is a country at war and this is evident from leaving the airport. I have never seen anything like it with regard to poverty and rubbish. The ski resort is far from international and the hotels (at best) are like the worst UK hostels. Gangs of men and a lack of any female presence is shocking. You cannot go on the stage 2 part of the gondola if you do not have an avalanche bag. You have to sign a disclaimer before you alight. No pisted runs and very crude signage. Gondola stage 1 is a mountain bike run that would scare the most experienced intermediate. Overrun by rich Indians that treat the Kashmiris like skivies... it's like going back in time. Hundreds of affluent Indians doing selfies and being very vain. Having said all this you will never meet such wonderful, humble people as the Kashmiris. My advice would be do your homework first. 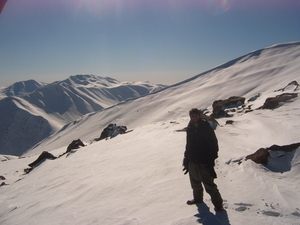 We went with Ski Gulmarg and could easily have gone solo as we had little or no input from them the entire trip.